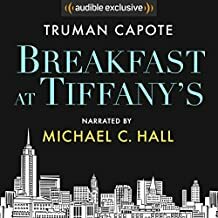 I hadn’t read any of Capote’s work either, but I had the audio version of this book and I was looking for a short listen during a hockey game last week so I fired it up. It was a great story based on an interesting character. I loved the way Holly just rambled on and on and on sometimes. I also found Capote’s writing chock full of fantastic detail. I found I was feeling the story more than just listening to it. A delightful listen. Highly recommended.